Bass guitar players Krysten Henry (left) and Salim Browne at the Edna Manley College of the Visual and Performing Arts on Thursday, where the students each received a US$1,000 scholarship from Jah Jerry Inc.
Salim Browne and Krysten Henry came to the bass guitar via different paths. Henry started out playing keyboards, like her mother, but tellsÂ The Gleaner:Â "I was always watching my father playing bass. I felt like I was playing the keyboard for someone else, not for me." When she was 18, Henry's father "actually gave me his bass to play", and now she is specialising in the instrument as a second-year student at the Edna Manley College of the Visual and Performing Art. Browne, who is also an Edna Manley student, has been playing the bass guitar from he was about six or seven years old. "I started playing in the primary school band," the former St Richard's Primary School student said. He comes from a family of musicians, currently plays with singer Kelissa, and also has his own 6Points outfit. Henry is also a member of a band, a five-piece outfit. The similarities do not stop there as on Thursday afternoon, Henry and Browne both received US$1,000 scholarships from Jah Jerry Inc., a foundation established in honour of the late Skatalites guitarist Jerome 'Jah Jerry' Haynes. The handover was done by Jah Jerry's son, Jerome Haynes, at the college on Arthur Wint Drive, St Andrew. It was the sixth time Haynes was making the annual donation, and he toldÂ The Gleaner: "I feel this is a passion of mine, and also, it is consistent with the legacy of my father - helping others, giving back - especially to young people. At Studio One, my father was always teaching people." "I love doing this. It has given me a sense of purpose and a lot of gratification," said Haynes. In addition to the two scholarships, Haynes also presented four computers to the Alpha Institute. The annual donations are funded through events held in the US, where Haynes is based. This time around, there is an additional scholarship, to Miguel Lavarde who attends Lehman College in the Bronx, New York, and who also plays the bass guitar. Haynes chuckles as he points out that Jah Jerry Inc. is mandated to support guitar students nationally as well as outside of the country - nationally in this case meaning in the US, where the foundation is based. "I guess we started internationally," Haynes said humorously. Henry and Browne were very happy with the continued international focus of Jah Jerry Inc. Henry toldÂ The Gleaner:"I feel good. This has helped me so much paying part of my school fees. My parents have been appreciative of this also. It is less money for them to pay." Browne said that it was the first time he has received a scholarship, so "this is special for me. I am sure it helps my family a lot. Sometimes I do not know how they do it. They sacrifice a lot". And Haynes pointed out that although his father was not a professional bass guitarist, awarding the scholarships to students playing the instrument is not outside the foundation's scope. There have been applicants who are music majors, as is stipulated, but were not guitar majors. "We are not trying to make this difficult, but you have to fit the criteria," Haynes said. Edna Manley College for the Visual and Performing Arts, recently. As the second week of the 2017-2018 academic year drew to a close, some significant figures came together in a small room at the Edna Manley College of the Visual and Performing Arts, Arthur Wint Drive, St Andrew. Those 'figures' were not only numbers, but also persons. For it was the fifth awards function of Jah Jerry Inc, the foundation named for the late Jerome 'Jah Jerry' Haynes, OD, guitarist with the Skatalites band, who died 10 years ago. And among those present, in addition to representatives of benefiting institutions, Edna Manley and the Alpha Institute, was singer Neville 'Bunny Wailer' Livingstone, one of the founding members of the Wailers, which had an extensive connection with the Skatalites at Studio One. Bunny Wailer described Jah Jerry as "a great Jamaican". Outlining the award criteria, Bunny Goodison, who chairs the scholarship committee, emphasised a particular quality - humility - which was a noted character trait of Jah Jerry. And, in making the scholarship presentations to Jevaughn Jones and Janoy Ellis, president and CEO of Jah Jerry Inc, Jah Jerry's son, James Haynes, said "next year we hope to have three". The scholarships are valued at US$1,000 each. Haynes also made the connection between the foundation's work and his father's approach to music. For just as the foundation's intention is to help young people, Haynes said his father's forte "was helping young people, showing them how to work the instrument, to play music". So, he said, the foundation continues that "legacy of touching lives, making a difference". And in referring to his father's humility, Haynes said "he was one of the few musicians I know who avoided the spotlight". A message by Olivia 'Babsy' Grange, minister of culture, gender, entertainment and sports, was read by Herbie Miller, director/curator of the Jamaica Music Museum. The message by Lisa Hanna, who attended the foundation's first handover at the Institute of Jamaica, Kingston, in her then capacity as minister responsible for entertainment, was read by Ibo Cooper. Jerome 'Jah Jerry' Haynes, was born on May 5, 1927, and died on August 13, 2007. James Haynes (left), president of Jah Jerry Inc, presents scholarship proceeds to Edna Manley College music student Ashir Plumme (second left), Claudia Woo-Chin (second right), administrator, Edna Manley College of the Visual & Performing Arts, and Michelle Williams of VP Records participating in the presentation, held in September at the college. · For the fourth consecutive year, music students at the Edna Manley College of the Visual and Performing Arts received assistance towards their education from Jah Jerry Inc, represented by James Haynes, early in the new academic year. This time around, though, in September, three scholarships were presented instead of the accustomed two. This year's recipients are Shadeeka Daughma, Ashir Plummer and Jonor Ellis, who each received US$1,000 towards meeting their expenses. Jah Jerry Inc was established in honour of late Skatalites guitarist Jerome 'Jah Jerry' Haynes. James told The Gleaner that "normally Jah Jerry Inc gives two scholarships, but this time the three students were so close (in terms of meeting the selection criteria) that VP Records said we will give you a donation." In addition to the scholarships, four computers were donated to the Iris Gilby school, in support of special needs students, Haynes saying that the complete, new units with large screens "were ready to use; they were loaded with software." "We feel good about that and the mere fact that the school has a need - when we donate we want to give to student or school who has a need," Haynes said. To be eligible for a scholarship, Haynes said, "the students have to be doing well in school and must be a part of school life. But we give it to students who have a need." He is happy that persons who knew and worked with Jah Jerry, including Ken Boothe, turned up for the presentation. Fundraising (normally a dinner/dance) is done in New York, USA, where Haynes lives, to fund the scholarships. One is held in spring and another in the summer. Support come mostly from Jamaicans, Haynes said that many of them are fans of The Skatalites. "Some of the people who come, they knew my father. They saw him perform on stage with The Skatalites. There is a man who used to go to the Bournemouth Club (in Rockfort) and see my father perform many, many times. And at the Glass Bucket as well," he said. Having raised the bar by presenting three scholarships, Haynes is hoping to maintain it next year. He is also hoping to donate four new computers to the Alpha Institute. And he is also hoping to have some of the artistes who would have known Jah Jerry - Boothe, Derrick Morgan and Strangejah Cole - come to the US to perform at a Jah Jerry Inc fundraiser. "I am going to start the ball rolling, so come next year I will have meetings set up with sponsors," Haynes said. "These great artistes, they have a lot of respect for my father," he said, adding that he would also like to get Jah Jerry's mentor, Ernie Ranglin, to perform as well. "I am excited. I even have the idea to do a tribute for these pioneers who are still alive. I think it can be done. I want to surround myself with people who are willing to help." This is especially so as 2017 marks two special anniversaries - 10 years since Jah Jerry's death and five years of scholarship donations by Jah Jerry Inc.
SephronMair, president of UTechAlumini Association NY Chapter and Director of Union of Jamaica Alumni Association ( UIAA), seen here making a donation to Jerome Haynes, CEO of Jah Jerry Foundation. Occasion was Mair's annual summer ending soiree and dinner dance heldatthe Davenport Country Club in New York Sunday September 7. JICFI chair Paulette Willoughby poses with honorees Jerome Haynes, son of Jah Jerry Haynes, Karl and Faye Rodney, Sheryl Lee Ralph and Lester Sterling. Wearing his `special presenter’ hat Mr. Patterson, who managed the Skatalites before his transition from lawyer to politician, had the privilege of presenting Lester Sterling with his award and posthumously to former original members: Don Drummond, (trombone); Lloyd Knibb, (drums); Jerome, “Jah Jerry” Haynes, (guitar); Jackee Mitto, (pianio); Lloyd Brevett, (bass and drum); Tommy McCook, (tenor saxophone); Roland Alfonso, (tenor saxophone) and John ‘Dizzy Moore, (trumpet). Carlton Jarrett (r.) accepts his $1,000 scholarships from Jah Jerry Inc. founder James Haynes, who says Jarrett sells fruit on the street to help pay for his education. THE “determination and perseverance” of two Jamaican students were recognized last week by the founder of the Bronx-based Jah Jerry Foundation, which gives scholarships to needy, but academically-sound recipients. James Haynes (l.) of Jah Jerry foundation congratulates awardee Elton Brown. “He valued it (education) and advocated for it,” Haynes said of his father, who grew up in the Jones Town area of Kingston with a passion for learning. Noting the “determination and perseverance” of the two scholarship recipients, Haynes said Jarrett sells fruit on the street to help pay for his school costs. In addition to the scholarships, the organization donated two computers to the Jones Town Primary School. To benefit future recipients, the organization’s Summer Scholarship Fund-raiser will be held on July 25. Call the Jah Jerry Inc., a nonprofit organization at (917) 747-8053 for information, or visit www.jahjerry.org. Mary Haynes, widow of the late musician, and her son, James, the Bronx foundation founder at the group's first fundraiser at at the Country Kitchen Restaurant in Pelham Manor in Westchester County. Started just last year, the Jah Jerry Inc., the Bronx-based nonprofit educational organization named for the late Jamaican music guitarist Jerome (Jah Jerry) Haynes of The Skatalites, is celebrated Haynes by holding its first benefit. The goal of the foundation, founded by Haynes’ son James, is to promote education and provide scholarships for young people in Jamaica and the U.S, and its April 27 Fundraiser Dinner Dance was a big step towards that objective. Moving, grooving and mingling for a great cause, patrons enthusiastically party on the dance floor at the Jah Jerry Inc. Fundraiser Dinner Dance on April 27. A sizable, enthusiastic crowd of supporters attended the event, held at the Country Kitchen Restaurant in Pelham Manor in Westchester County. The new organization donated desktop computers to two schools and awarded a scholarship to a college student. For information on the Jah Jerry organization, call (917) 747-8053. James Haynes' love for his father, the late guitarist Jerome 'Jah Jerry' Haynes, OD, was evident as he spoke inside the Institute of Jamaica's Council Room last Wednesday afternoon. So was his respect for guitarist Ernest Ranglin, who tutored Jah Jerry, a founding member of The Skatalites band. So it is appropriate that the tagline of Jah Jerry, Inc, a nonprofit organization which made its first presentations on Wednesday, states "education is our primary mission". And with its first donations - a computer each to the Charlie Smith and Trench Town Comprehensive high schools, plus a US$1,000 scholarship to Edna Manley College of the Visual and Performing Arts student Elton Brown - it has stayed true to its purpose. James, who was accompanied by his wife Jean and a number of women who have provided support for Jah Jerry and himself, said the organization is six months old. "My father was really about education and possibilities. We felt we needed to do something that will address some of his concerns and the things he held on to," James said. Amplifying on what the function's host, Winston Williams, had read about Jah Jerry, Haynes gave some personal reflections on his father, who "came from humble beginnings". Each thing Jah Jerry's father, who was blind, passed on to his son, he would "practise day and night". "Every famous musician who emanates from this island, when they recorded their first song, my father was there," Haynes said, naming Desmond Dekker, Alton Ellis and Bob Marley among them. "My father never went to secondary school, but he learnt to read and write music," Haynes said, adding that Jah Jerry spent long hours studying. "His legacy is a higher level of professionalism, a level of determination and, no matter where you come from, you can overcome social barriers. You have to put in the time, you have to put in the practice," Haynes said. Minister of Youth and Culture Lisa Hanna spoke to three things music can do. First, it can "shape the minds of our young people". Then, she said, "there seems to be a level of pioneering". Finally, Hanna said, music gives a sense of consciousness. Education Minister Ronnie Thwaites, noting Haynes' obvious love for his father, said "our creativity is the primary grace God has given us" and "we need to lift up these expressions". Brown had many voices lifted up inside the Council Room as he did Concrete Jungle. And Haynes pledged that there will be more from Jah Jerry, Inc. "This is the first of big things to come," he said. To the world, Jerome (Jah Jerry) Haynes is linked to music, known as a founding member of The Skatalites, the legendary and pioneering Jamaican ska band. But with the creation of an educational organization bearing his name, the late guitarist will also be commemorated for his great zeal for learning. Jah Jerry Inc., a nonprofit organization promoting education and providing scholarships for young people in Jamaica and the U.S., will be launched on July 20, 2012 in the Bronx at a special event held at St. Luke’s Episcopal Church, 777 E. 222nd St. (near Barnes Ave.) from 8 p.m. to midnight, according to James Hanyes, son of the late member. “When I was growing up, there was a sign in our home that read, ‘Going to school is nonnegotiable,’ ” said Haynes, adding that his father’s commitment to education made a permanent impression on him and his siblings. My father stressed that education is the key to your future, it’s your passport , “said Haynes, adding that the foundation is being started” in memory of my father and in the spirit of Jamaica’s 50th anniversary of independence. Students in Jamaica who meet the criteria of Jah Jerry Inc. can apply for scholarships. And students in the United States who qualify can also get educational awards. The kickoff event features videos, vintage recordings and music by DJ Disco Kid. Donation is $30 per person and proceeds will benefit Jah Jerry Inc. and St. Luke’s Church Episcopal Church. Haynes, who died in 2007 and was posthumously awarded the prestigious Jamaica Order of Distinction for “his contribution to the development of Jamaican music” was a founding member of the Skatalites whose Ska music proceeded rock steady and reggae. Floral tribute at the National Heroes Circle in Kingston at 8 am. 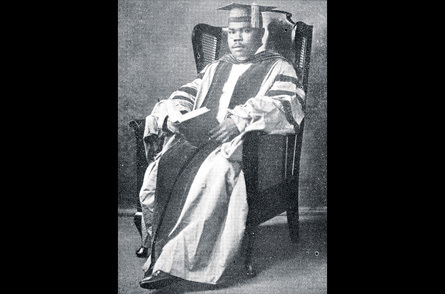 Following floral tribute Dr Julius Garvey, the hero’s son, is expected to visit Liberty Hall for the launch of the Marcus Mosiah Garvey Mobile Museum. Prior to the launch, there will be a function to honour Mr Garvey, starting at 10:00 am at the St Ann’s Bay Parish Library. Marcus Garvey Tribute concert at the Eastern Peace Centre, 121 Windward Road, St Andrew, at 8:00 pm. The concert features: Sizzla Kolonji, Nesbeth, Turbulence, Mackie Conscious, Fredlocks, Aaron Silk, Edi Fitzroy, Fabian Marley, Paul Elliot, EQ, Bongo Herman and the Warrior Love Band. In the afterglow of the Independence celebrations in 2007, Jamaica lost one of its musical pioneers. 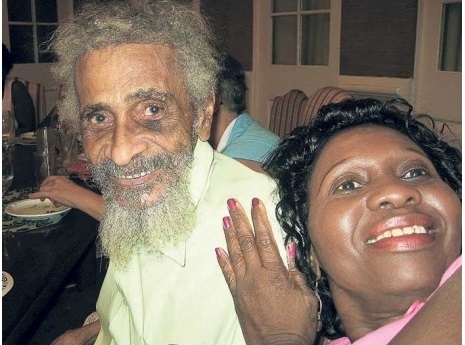 Jerome Haynes, known to all as ‘Jah Jerry’ succumbed to pneumonia following surgery at 80. The noted guitarist, a foundation member of the Skatalites, the session musicians credited with popularizing the ska sound, was one of a long list of cultural figures to pass away during that period. The likes of Louise Bennett (folklorist), Desmond Dekker (singer), Clemente Dodd (producer), Johnny ‘Dizzy’ Moore (trumpeter) and of course Jah Jerry may no longer be with us but their work and those of so may others live on in the groundation of our culture. It has been noted that one of the reasons Jamaica had an Independence is because it already was having an identity through its cultural expressions, thanks in large measure to our creative artistes. The cultural blossoming was evident in the folk dialects and idioms, in drama, dance theatre, music and the whole range of the visual arts. It was unearthed, captured and given expression by organizations such as Jamaica Welfare Limited starting from the late 1930s, the Institute of Jamaica, the Little Theatre Movement, the School of Art and the School of Music, the National Dance Theatre Company (in the 1960s) as well as the parish and national festivals which began decades before Independence and which would later be placed under the umbrella of the Festival Office (now called the Jamaica Cultural Development Commission) after 1962. As the 1950s gave way to the 1960s it became clear that this was a society in search of itself; a country moving steadfastly on a new mission. It was out of this internal quest and questioning that Jamaica discovered its own musical voice, giving birth to its first indigenous sound, ska which would evolve into rocksteady and later the even more celebrated reggae. Today reggae is an international rhythm but the man who gave it early form was Jah Jerry whose guitar emphasis of the afterbeat gave Jamaican music its distinct, original sound. Jah Jerry had a long career in the business, working with scores of artistes and recording on hundreds of songs before retiring several years prior to his death. The observance of the island’s fiftieth anniversary of Independence has provided the impetus for reflections and celebrations, and in the case of Jah Jerry, legacy building. To give credit to the man and his music, and his contribution to Jamaican culture, the Jah Jerry Foundation was launched in New York City recently by members of his family. The foundation is the family’s homage to Jamaica 50 and the fifth anniversary of their father’s passing. “My father loved his family, Jamaica and music,” Jah Jerry’s son, James Haynes told the Weekly Gleaner in an interview following the launch. “He started out playing mento and other music in 1949 to tourists in Montego Bay. When Jamaica got into recording music in the 1950s he moved into this area and was one of the first session musicians to record in the studio, working with many pioneers - producers and singers - and was there when many of them recorded their first songs,” Haynes Jr. added. He said his father wrote and arranged music, and spent most of his time at the studio but was also devoted to his children and the idea of education. To honour his memory, the foundation will among other things, offer scholarships to high school students going on to tertiary education in Jamaica and the U.S. “Education was a top priority in our home of seven children,” James Haynes noted. A major fundraiser is planned for October to get the charity fully operational. A website (www.jahjerry.org) that will detail all the information on the scholarships and the foundation’s mission is currently under construction. A musical tribute organized by the Haynes’ family was held recently at St. Luke’s Episcopal Church in the Bronx where ska and early reggae blasted through the basement doors as patrons celebrated the foundation members of Jamaican dance rhythm. The legacy building continues as the Haynes family hopes to reclaim their father’s two guitars, one of which is on loan to a museum in Seattle for preservation purposes. It is their intention to donate it some day to a cultural institution in Jamaica, established to showcase the archival treasures of Jamaica’s musical past. The second guitar is said to be in the possession of the producer/singer, Prince Buster with whom Jah Jerry worked closely at the start of their career. It is on his beloved island that he died on August 13, 2007 days after celebrating Independence. Jah Jerry’s legacy lives on through a whole catalogue of Jamaican music. In ska tunes like “Rockfort Rock”, “Hooligan Ska”, “Man In The Street”, “Oh Jezebel”, “Simmer Down”, “Oh Carolina”, “Carry Go Bring Come”, “Rivers of Babylon”, “Humpty Dumpty” and the original 1964 ska version of “One Love” - to name a few. THE LATE guitarist Jerome 'Jah Jerry' Haynes, a founding member of the Skatalites is credited with having helped to develop the ska sound. Prior to 1960, Jamaica had a serious love affair with American black music - the jazz, rhythm & blues and boogie-woogie that were filtering in from powerful radio trasmissions in the Southern U.S, as well as via the records, that migrant workers were taking back to Jamaica. Jazz had a strong influence in Jamaica going back to the 1930s and every Jamaican musician at the time dreamt of being a jazz, player. They emulated the established black American jazz artistes and gave themselves jazz nicknames. However after World War II, The big band orchestras began to lose favour in the U.S. and were replaced by the smaller, more economic r&B bands. A similar trajectory took place in Jamaica where 'orchestra dances' in 1940s Kingston gave way to sound system street operations in the 1950s. It was the sound system operators who really popularised American music on the island. Several of them emerged on the Kingston scene and started an agressive competition for new music to fill their weekly dances. They would go to the U.S. to purchase new records attempting to conceal the titles from their competitors and would travel across the island playing the music in verious town centres. But as rock and roll which attracted a more white audience replaced r&b as the dominant music in the U.S. in the late '50s, the Jamaican promoters found themselves in a bind. Their source for new music had dried up but in true Jamaican inventive fashion they started to create their own. Recording facilities were established in Jamaica in the 1950s and musicians started to record, at first producing materials that mimicked the black American music they adored. But as they experimented and added their interpretations, the music began to sound uniquely Jamaican, reflecting the folk patterns and rhythms of native life. One theory holds that it was in a recording session with Prince Buster that Jah Jerry, strumming on his guitar started to emphasise the afterbeat, producing the dominant sound that would define early Jamaican music. Ska was born. The period was 1960-1961, pre-independence Jamaica. Ska is a reflection of the island's diverse musical trends and exposure. It is a hybrid of Jamaican folk music (pocomania, the fife and drum of jonkanoo masquerades, European quadrille, plantation work songs, mento), American jazz, R&B, boogie-woogie and Afro-Cuban rhythms. According to Jamaican jazz pianist, Monty Alexander "Ska was jazz with a roots rhythm to make us dance." The names that would become synonymous with the ska era included Don Drummond and Rico Rodriquez-trombonists; Roland Alphonso and Tommy McCook-saxophone; trumpeters 'Dizzy' Johnny Moore and Jackie willancy; drummers Drumbago and Lloyd Knibbs; the bassists Lloyd Brevett and Clue J; guitarist Jah Jerry and Ernie Ranglin and a whole range of other musicians and singers. Roughly three years after the birth of ska, several of those mentioned went on to form the 'Skatalites' Band in the summer of 1964. The Skatalites were only a month old when the wailers which then included Bob Marley, Peter Tosh, Bunny Wailer, Beverley Kelso and Junior Braithwaite went to Sir Clement Dodd's Studio One Facilities to lay down some tracks. The Skatalites were the backing band for the wailers' first recording and their first single "Simmer Down" which Dodd played at a dance the very night it was recorded. As history records it, it tore up the dance and soon sold 70,000 copies in Jamaica - a smash hit for a country with less than a million people at the time. "Simmer Down" is regarded as on of the signature tracks of Jamaica's ska period, its rhythm defined by leading ska band of the day, the Skatalites. Their stamp is on most of the leading records of the period with Jah Jerry's guitar strumming ska beats comming through strongly on early hits such as Oh Carolina, Carry Go Bring Come, River of Babylon, Humpty Dumpty and the original 1964 ska version of One Love - to name a few. Jamaica's musicians in many ways gave expression to the country. Their music became the sound track for independence. Ska was the musical declaration of the island's self-determination stance; a society in search of itself. The Jamaica Association of Vintage Artistes and Affiliates (JAVAA), celebrated its fifth anniversary on Friday with the first induction for the Jamaican Music Hall of Fame, saluting a wide array of musical icons from mento to reggae. The salutation was not only for on-stage performers, but also for those behind-the-scene unsung heroes and one noteworthy institution. It was a well attended history-making ceremony held on the lawns of the Pegasus Hotel. Seven of the individual inductees were honoured posthumously. These were legendary folklorist/poet, Louise “Miss Lou” Bennet-Coverly; master drummer and founder of the Mysic Revelation of Rastafari (MRR), Oswald Williams, aka Count Ossie; pioneer mento/calypsonian , Norman Thoman, better known as Lord Flea; founder of the Alpha Boys’ School, Sister Mary Ignatius Davies; legendary producter/director, Vere Johns, who founded the famous Opportunity Hour talent contest, legendary record producer, Clement ‘Sir Coxsone’ Dood of Studio One fame; and giant record producer Arthur ‘Duke’ Reid. The original Wailers – comprising Bob Marley, Peter Tosh, Bunny Wailer, Junior Brathwaite, Beverly Kelso and Cherry Green – were also inducted. Of the group only Bunny Wailer, Kelso and Green are alive. Don Drummond , Roland Alphonso, Tommy McCook and Jerome ‘Jah Jerry’ Haynes (all deceased from the immortal Skatalites Band were also honoured. Only two on the distinguished roll of honoured were present to bask in the glory of their time-honoured moment. They were veteran ethnomusicologist/founder of the Jamaica Folk Singers and the Jamaica Orchestra for Youth , Dr. Olive Lewin and the incomparable master guitarist, Ernest Ranglin. Ska legend Derrik Morgan, was unavoidably absent, as he is now on a tour in Europe. Jerome Hines — dubbed Jah Jerry by his Rastafarian brethren — helped to create the syncopated rhythms that became the defining sound of Jamaican music. Known in the early 1960s as ska, by the end of the decade the sound had developed into reggae, and was destined to become a near-ubiquitous presence in popular music around the world. The Skatalites were the most important instrumental group in the music’s development and Hines’s choppy, rhythmic chords that combined elements of jazz and calypso with “mento”, a traditional Jamaican form, was central to their sound. He grew up in Jones Town, a Kingston ghetto and, although his blind father owned a guitar, he was a late starter, not taking up the instrument until he was in his 20s. During the late 1940s both father and son took lessons from Ernest Ranglin, a pivotal figure in the history of Jamaican music who is still working today. He remained under Ranglin’s tutelage for several years but in time was expert enough to play with him as an equal. In the mid1950s he signed on with a popular local jazz combo led by the saxophonist Val Bennett, performing imported styles for tourists at upmar-ket hotels. With independence on the horizon, however, a new sound was emerging on the streets of Kingston that would come to define Jamaican cultural identity. By the late 1950s he had teamed up with the drummer Ark-land “Drumbago” Parks, making his first recording, Count Boysie the Monarch. Then in 1959, on Ranglin’s recommendation, he was employed to play on Prince Buster’s first recording, Little Honey. According to Jamaican musical folklore, at the session Buster asked his guitarist to “change gear”, resulting in the creation of the trade-mark rhythmic strum that the world would soon come to know as ska. In 1964 he joined the saxophonist Roland Alphonso and trumpet player Johnny Moore in the Skatalites. Further musicians were recruited swiftly and for a while the band became the hottest act in Jamaica, both as a live act and in the studio where they backed almost every important Jamaican singer of the day. However, the Skatalites broke up within 18 months when their trombonist Don Drummond was jailed for murdering his girlfriend. Hines retreated back to session work. The Skatalites reformed in 1983. They toured America and recorded the aptly titled 1984 album, The Return of the Big Guns. Hines left the group in 1985 and retired to Jones Town, where he lived quietly, as respect for the Skatalites’ work grew to almost reverential proportions after a comprehensive reissue programme. Jah Jerry (Jerome Hines), musician, was born on August 11, 1921. He died on August 13, 2007, aged 86. GUITARIST Jerome 'Jah Jerry' Haynes, original guitarist of the legendary Skatalites band, died on August 11 in Kingston. He was 86 years old. The journeyman musician's rhythmic strums added flavour to a band which sound was based on the triple saxophones of Roland Alphonso, Tommy McCook and Lester Sterling, trumpeter Johnny 'Dizzy' Moore and trombonist Don Drummond. Jah Jerry is the sixth member of the original Skatalites to die. Drummond, singer Jackie Opel, keyboardist Jackie Mittoo, Alphonso and McCook predeceased him. Musicologist Bunny Goodison knew Jah Jerry for more than 40 years. He sai his rhythmic strums were overshadowed by the heralded horns of his bandmates in The Skatalites, he paid his dues. "He was a rhythm guitarist, never a soloist. So, in the presence of Drummond, Mittoo and McCook it was hard for him to stand out," Goodison told The Gleaner. The American musicologist David Katz, in a tribute to Jah Jerry in Britain's The Guardian newspaper, traced his work to the late 1950s when Jamaica's popular music scene was taking shape. He recorded mainly for producers Prince Buster and Leslie Kong. His patterns can be heard on hit songs like Oh Carolina by the Folkes Brothers (produced by Buster) and They've Got to Go, one of Buster's biggest hits. Session musician In the early 1960s, Jah Jerry continued to work as a session musician, playing on sides for Clement 'Coxson' Dodd and Vincent 'Randy' Chin. He was one of the early members of The Skatalites, a super band formed in 1964 by Moore. It also included drummer Lloyd Knibb, bass player Lloyd Brevett and vocalist Doreen Schaefer. The original band lasted less than two years but they cut some of the most influential instrumentals in Jamaica including Freedom Sounds, Guns of Navarone and Jack Ruby, all of which Jah Jerry played. The guitarist was not a part of the reformed Skatalites which still tours with Sterling, Schaefer and Knibb the original members in the current line-up. The thanksgiving and funeral for Jerome 'Jah Jerry' Haynes, attended by his wife and seven children, was held on August 29 at Dovecot.